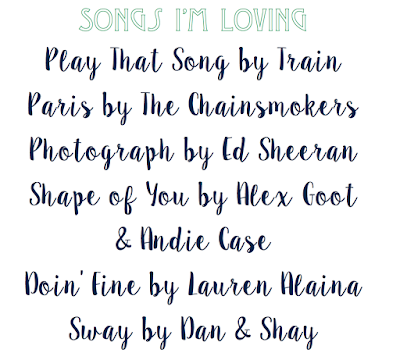 I recently read Emma from Dash of Serpendipity's February Playlist post and I was inspired to make my own similar post. I got so many great song recommendations from her post, so I thought maybe some of you would like to hear what songs I'm loving. 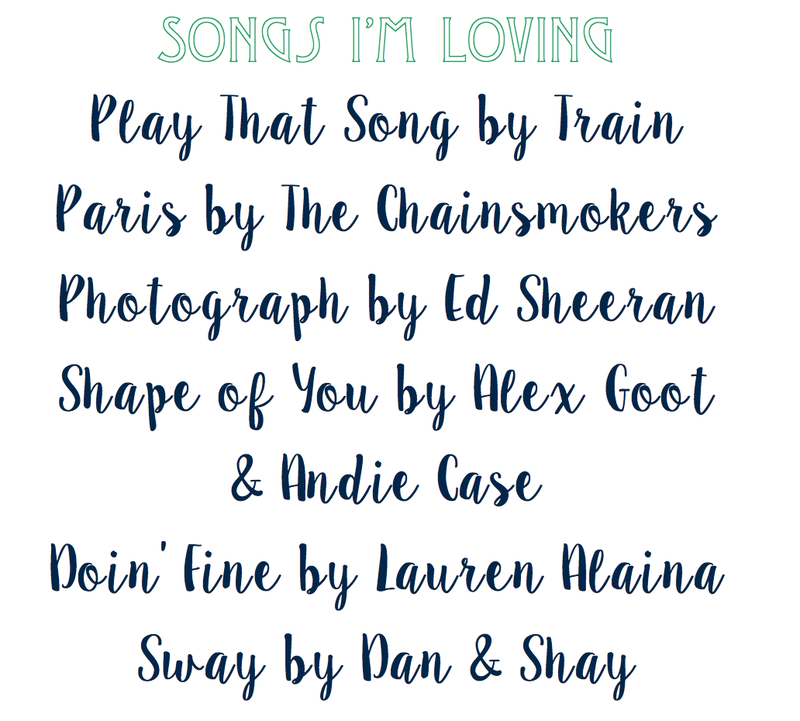 I also thought this post was good timing as I'm driving home today, so many of these songs will be on repeat for the 5 hour drive! I'm always looking for new song recommendations, so leave your favorite song at the moment in the comments below! "Play That Song" is so fun & upbeat! Yes it is! I love to listen to it in the morning while getting ready!